There is a rapidly growing demand for Accounts Payable Automation as the traditional process is very manual and labor intensive. An automated process reduces errors, eliminates fees incurred from late payment, and eliminates fraudulent charges by increasing visibility and improving controls. Be sure to choose a solution that integrates with your financial system of record and your bank account, otherwise you will end up with two parallel systems. It is also important to understand whether the payment execution features are consistent with your organization’s expectations for cash flow and management, and payment control. 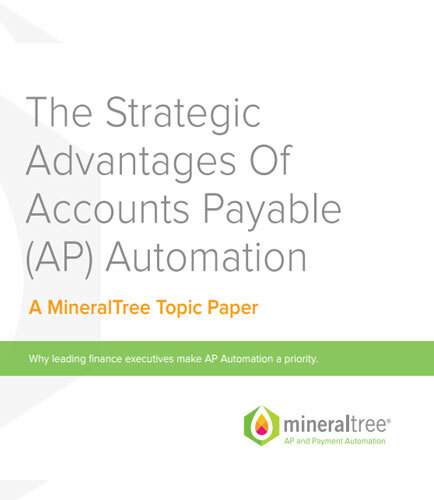 This whitepaper covers the strategic advantages of Accounts Payable (AP) Automation and why leading finance executives are making AP Automation a priority. Providing a total risk management solution is an important aspect for P&C brokers apart from focusing on coverage and obtaining the best price for your client. Clients are looking for brokers that can take on a trusted advisor role, helping them address their true business exposures and help mitigate their total cost of risk. With the right resources, one can offer prospects and clients effective risk management processes which address all of the issues, create value, and become an integral part of their decision-making process. This whitepaper provides steps that should be taken to move towards becoming a trusted risk management advisor for your clients by managing their total cost of risk and providing solutions to help them save money on their long-term risk management costs. It addresses the following key questions: How does risk management impact a business’s bottom line? What are the employers’ top 3 risk management challenges? What are the most effective ways through which a broker can take on the advisor role? Deliver a total risk management solution to your clients and you’ll find yourself with a new business model that makes both you and your clients more successful.